Classes are available locally if you are interested in a guided build of this project and others. See our class listing for availability. Extend the growing season with a lightweight, portable cold frame. As the days grow longer, and the sun is shining, we long to start growing plants for the upcoming season. But the nights are still too cold, and with a nippy day here and there, you need a solution to get those babies up and going. Utilizing the heat from the sun in a tiny “greenhouse”, you can start plants earlier in the spring and extend the season in the fall for plants already in the ground. The solution is a super light and portable cold frame. Learn a quick, easy, and low-cost way to build one yourself. If you missed the demonstration of my cold frame build at the Upper Cumberland Home and Garden Show, make sure to check out our class listing for a guided cold frame build. Photos from the Home Show Demo and more detailed info will be available after the the conclusion of that event. I wanted to build a cold frame that was simple, easy, low cost, and light enough to move around my yard to maximize the little sun that I have on my wooded property. There are, as in many projects, multiple ways to skin a cat. I developed this method of building a cold frame because it met my most immediate needs. This design can be adapted to a more permanent structure, allowing overwintering of plants, and creating a micro-climate for tropicals. Cold frames are a great introduction to gardening in-lieu of having a full sized greenhouse. They are even great additions to greenhouses to extend valued space inside the greenhouse to accommodate the push of perennials and annuals in the spring or raising vegetables for harvest past the frost date in the fall. 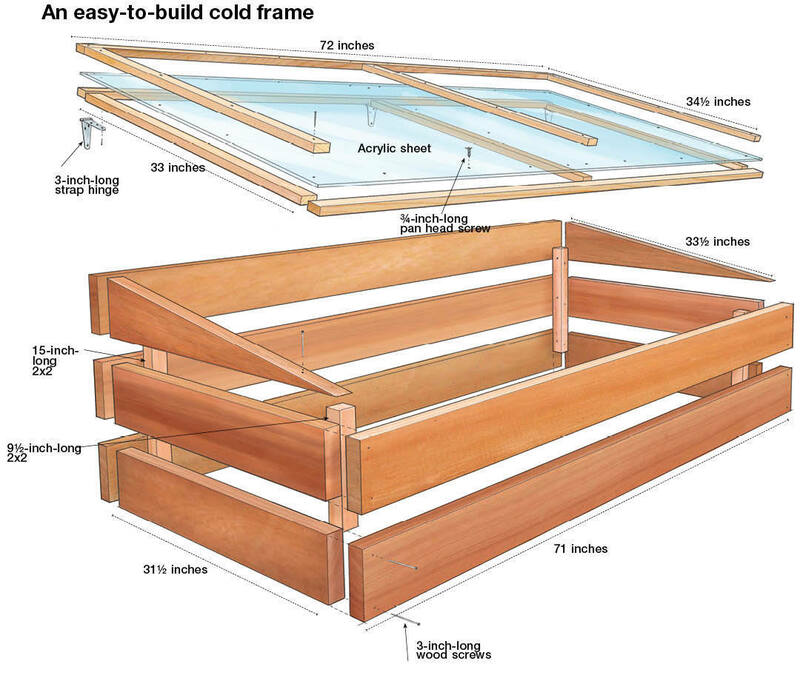 There are so many great articles and uses for cold frames. I’ve included links to a few reputable ones below. Serina is the Principle Designer, Builder, and Owner of Wells Built Home, a design and build firm specializing in education and empowering women to build and do for themselves. Also a TN Master Gardener, Serina will walk you through how to build it and then grow in your cold frame. Join us and bring your growing questions. Find more seminars, lectures, and DIY building workshops on her website www.WellsBuiltHome.com or @WellsBuiltHome on Facebook.